Next time you're in the Caribbean, go with NÜ Car Rentals. Car rental in Aruba is easy, cheap, and hassle free with NÜ Car Rentals. Our Aruba rental car will get you to the many beaches, restaurants, bars, and cultural attractions that Aruba has to offer. Drive your Aruba rental car through Oranjestad. 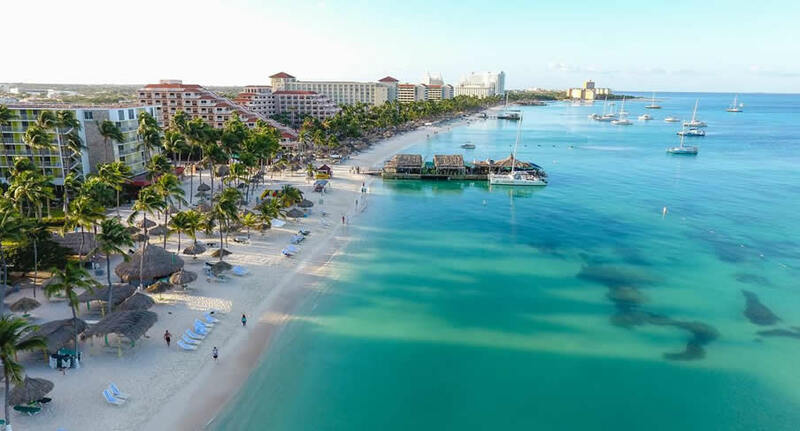 Aruba is the quintessential Caribbean island, all sun and sea and stretches of powdery white sand. Time will slow to a pleasant crawl as you linger over a tropical cocktail or flutter serenely underwater, where only the parrotfish are in a hurry. The pastel façades of Oranjestad landmarks and shops lend an inviting and playful vibe to the capital city. Enjoy the shade of an Eagle Beach divi tree while the crashing waves of turquoise water create a soothing soundtrack just for you. Looking for a car rental in Aruba? NÜ Car Rentals has it. Aruba is about 100 miles long and 35 miles wide, so its most distant points are only a three-hour drive apart. Get a Oranjestad Aruba car rental and see all the sites, from beautiful beaches to rugged mountain ranges. Make your dream vacation complete today with a Aruba car rental from NÜ Car Rentals, and hit the road!